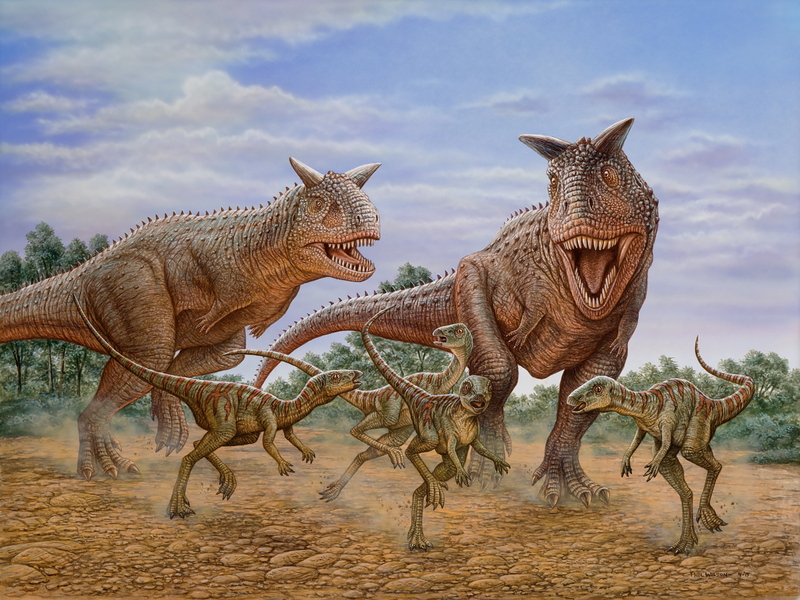 Another new dinosaur painting by Phil Wilson – this one pictures two 25 feet long Carnotaurus coming into a group of Gasparinisaurs. 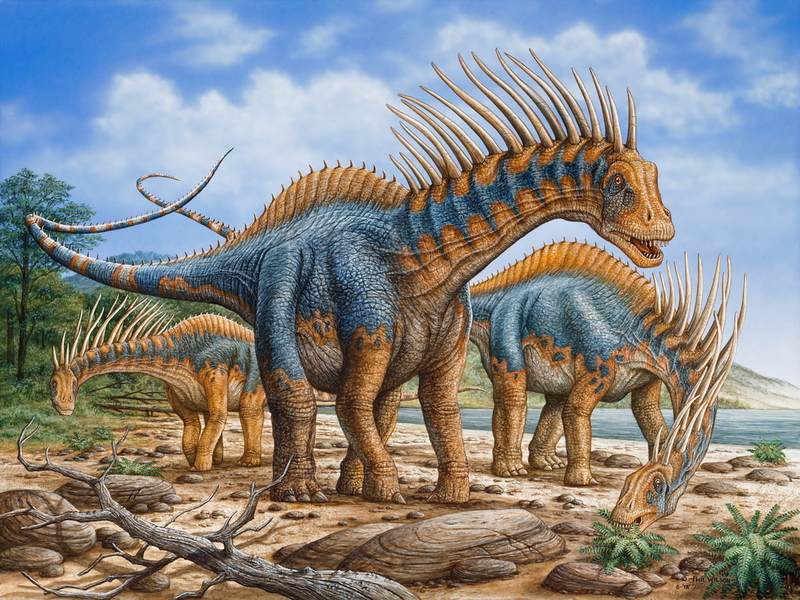 These dinos were all from Argentina. 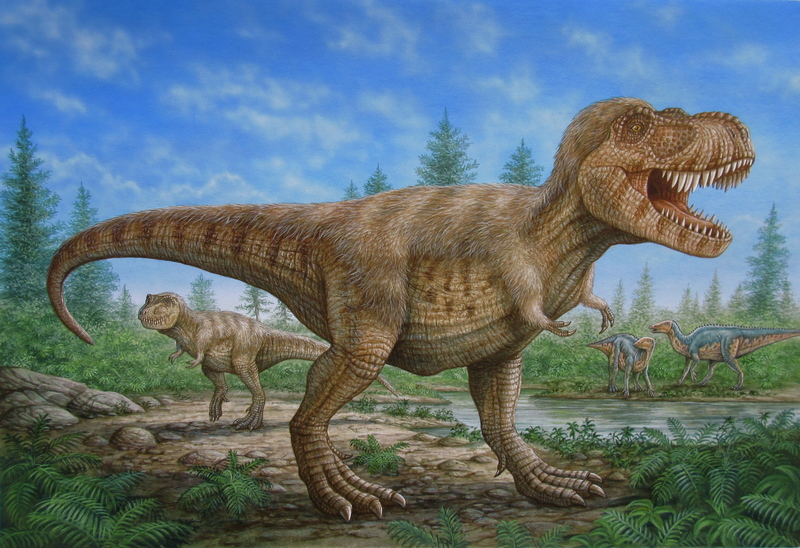 Check Phil’s portfolio for more exciting dinosaur art! 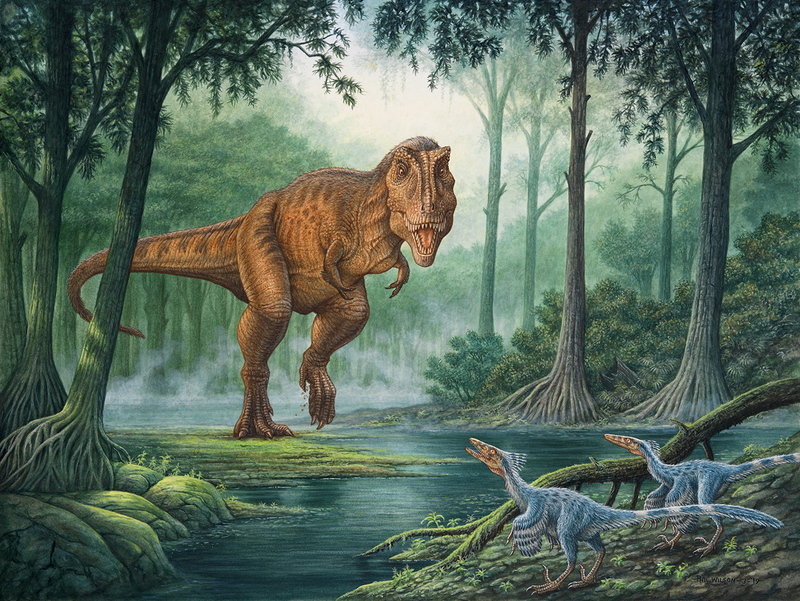 Fabulous new dinosaur painting by Phil Wilson. 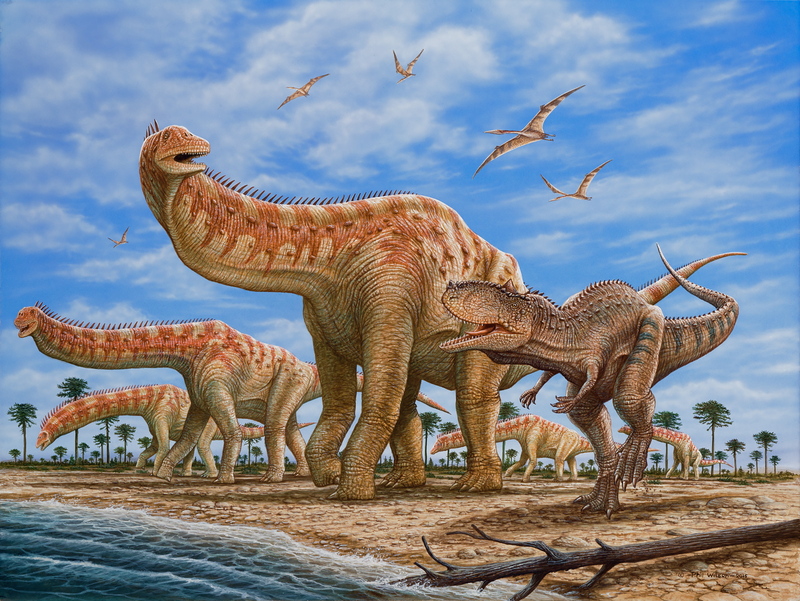 It’s a herd of the bizarre Isisaurus being pursued by a Rajasaurus. 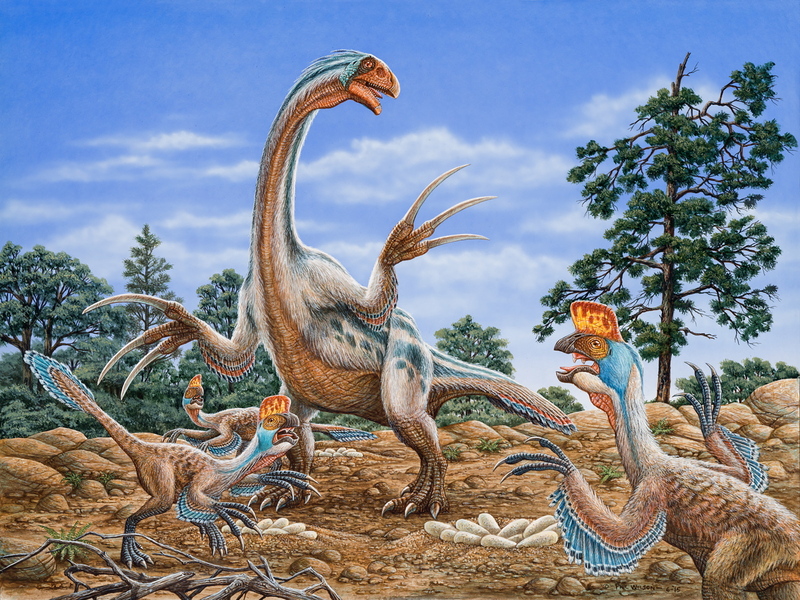 These dinos were found in India in 1997. 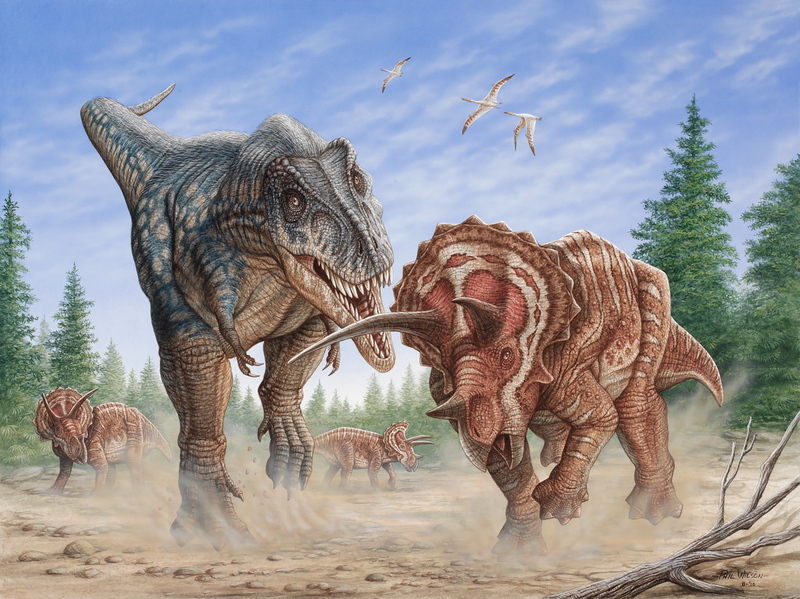 View Phil’s portfolio for more great dino images! 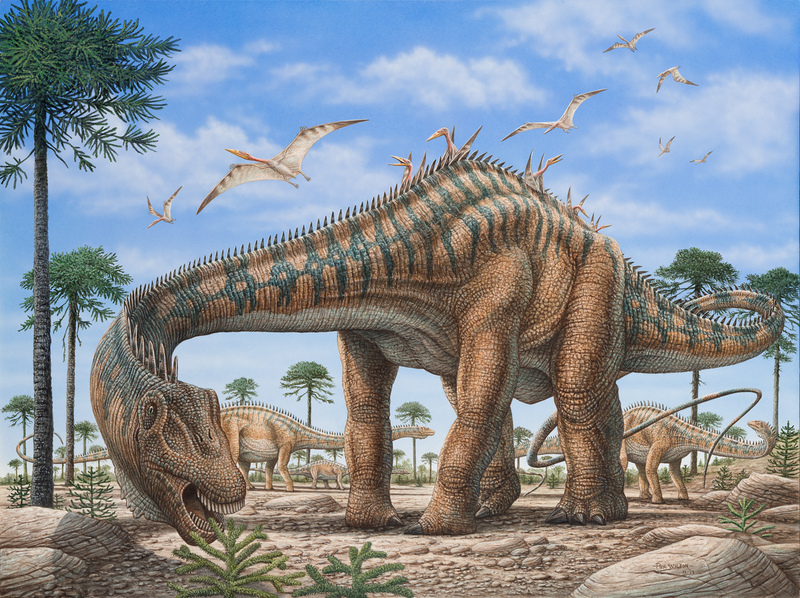 A fantastic new painting of a Diplodocus grazing by Phil Wilson – consider him for your next dinosaur project! 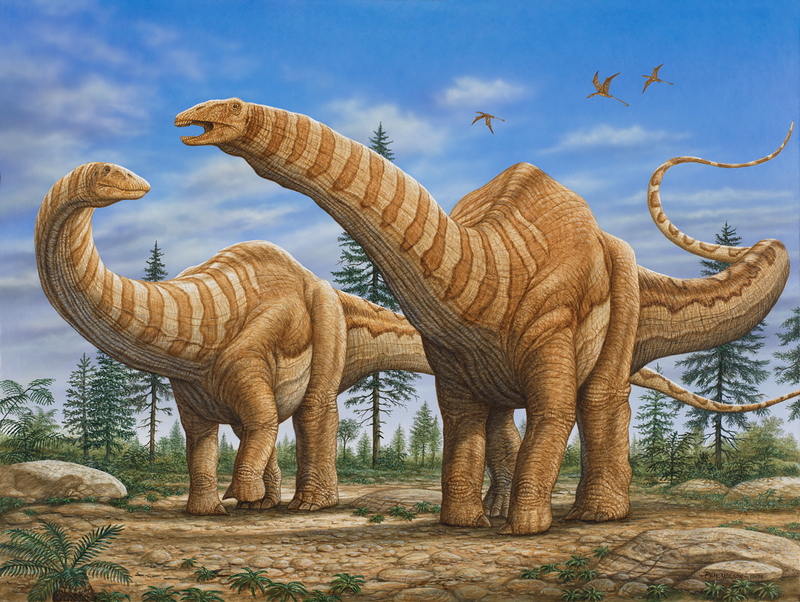 Interesting that as I post this “Dippy” is being removed in London – much to the outrage of dinosaur lovers everywhere! 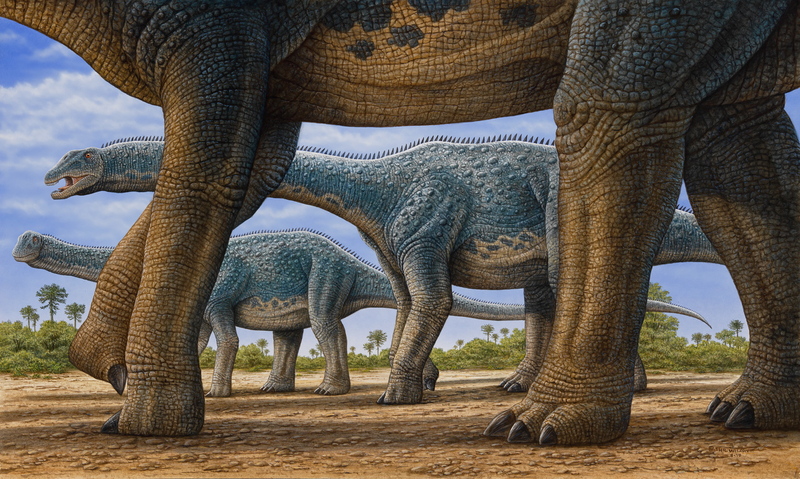 Two new dinosaur paintings by Phil Wilson. 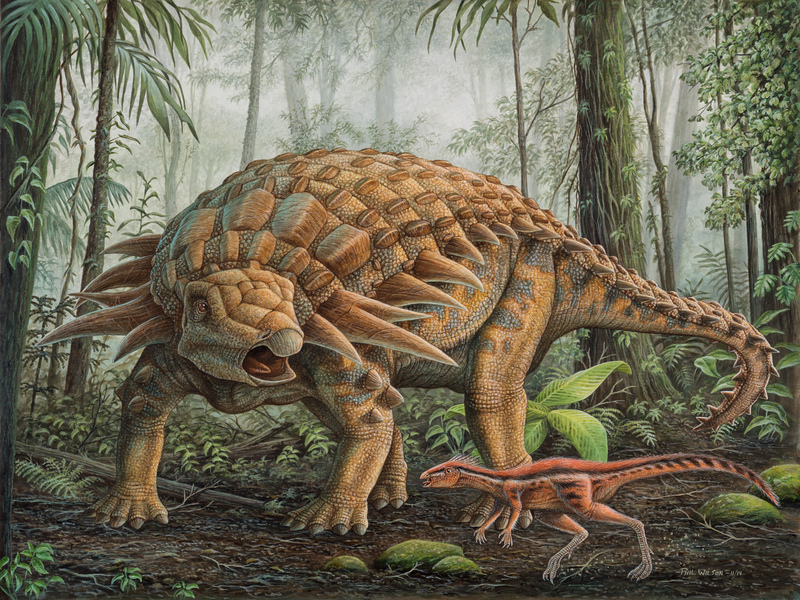 The first image shows an armored Edmontonia reacting to a passing Oryctodromeus. 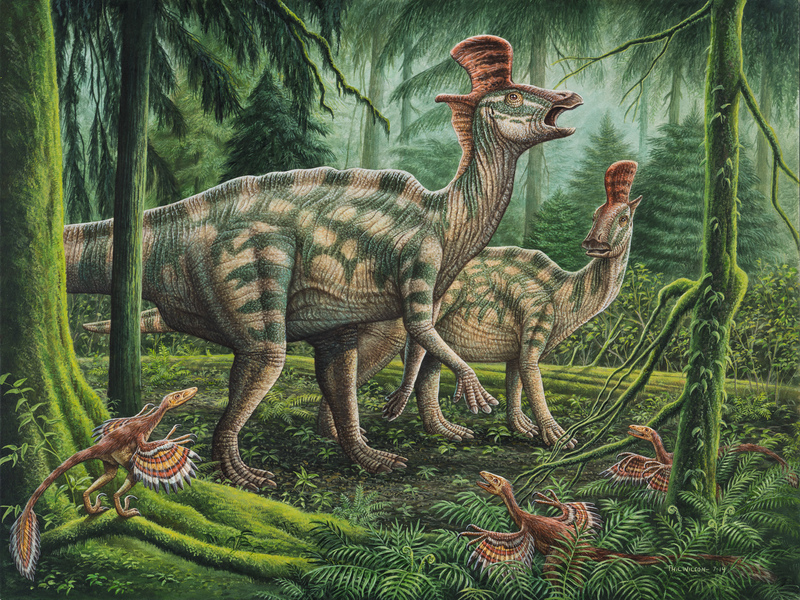 The second image shows a pair of Lambeosaurus being watched by three Bambiraptors. 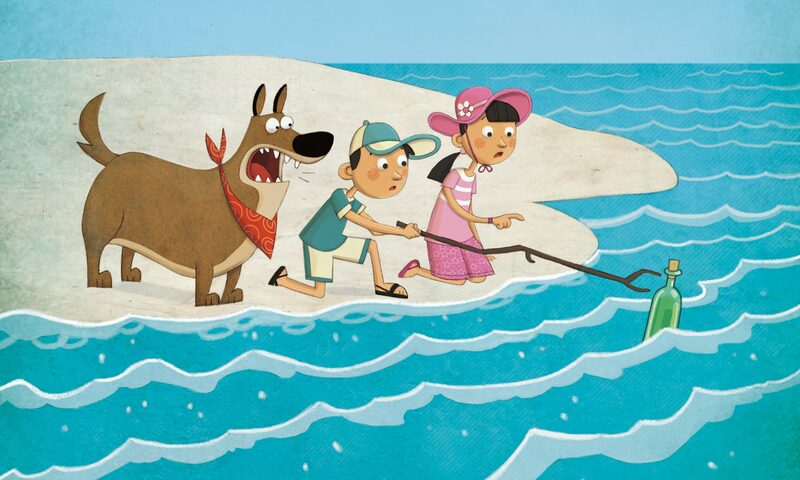 Check Phil’s portfolio for more exciting dino illustrations!